As a foodie who blogs, I do receive invitations to cooking classes from time to time (thank you to all who've invited me) and as much as I like to go to each and every single one that came my way, it is not possible due to the timings, which mostly clash with my weekdays schedule. 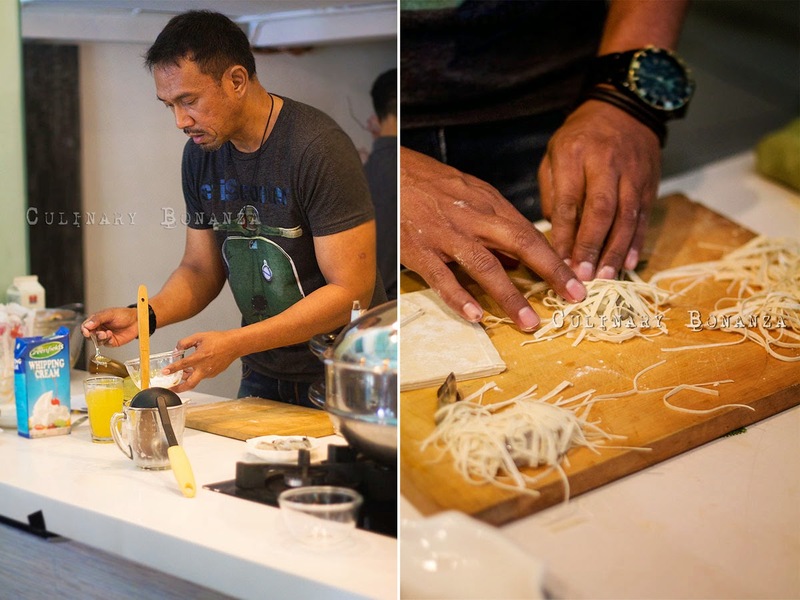 However, occasionally I could sneak away from my routine, like the recent cooking class organized by DOLE Indonesia. I'm sure you would have come across the logo on fresh fruits (bananas, pineapples, etc) or canned fruits at the supermarkets. DOLE is an established name in the fruits industry, founded in Hawaii in 1851. It is currently the world's largest producer and marketer of high-quality fresh fruit and fresh vegetables. To see the list of DOLE's products, click here. Today, its products range expands to include packaged and frozen foods, and it is present in more than 90 countries across the 5 continents. 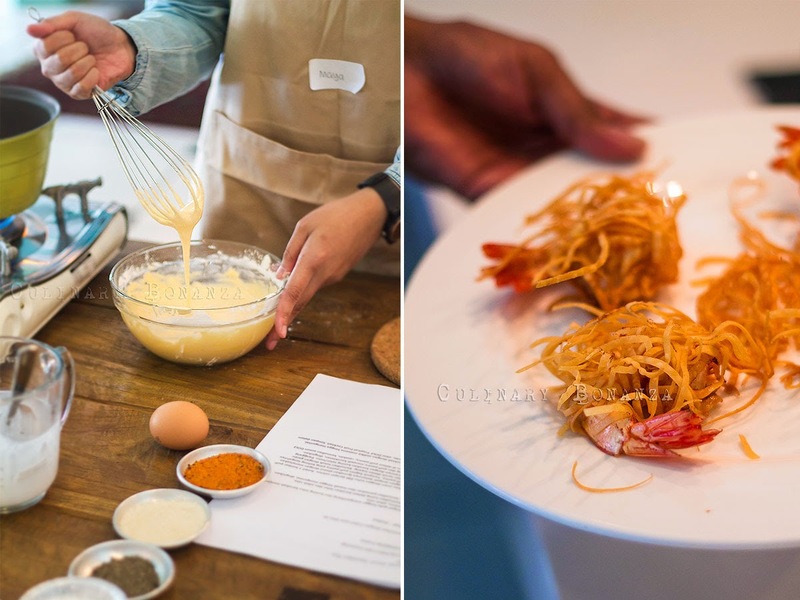 When I received an invitation to a cooking class by DOLE, which will be hosted by Chef Bara Pattiradjawane, I was excited because I had been to Chef Bara's cooking class at another occasion and it had been a fun experience. 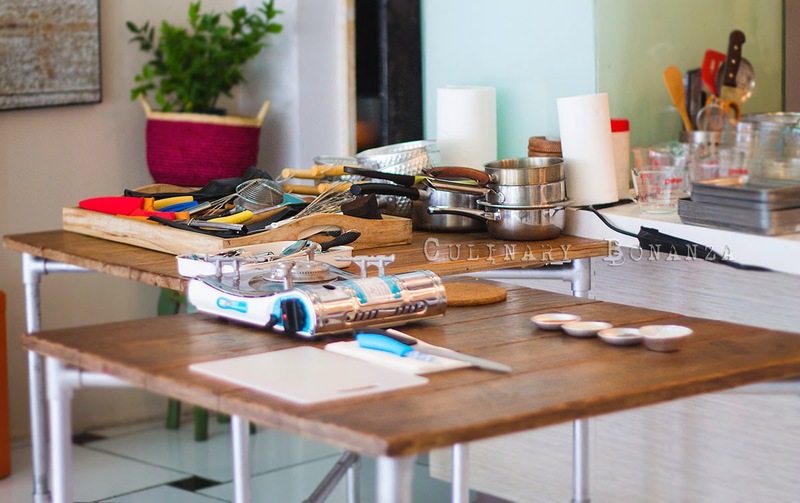 This time round, the cooking class took place at Madera Kitchen in Kemang, a homey kitchen studio / restaurant and the class was scheduled to start at 9AM. The journey from my house to Kemang would take anything from 30 minutes to 2 hours depending on the time and the day. So, I left home early almost 8AM and reached the venue earlier than expected, 8.40AM. 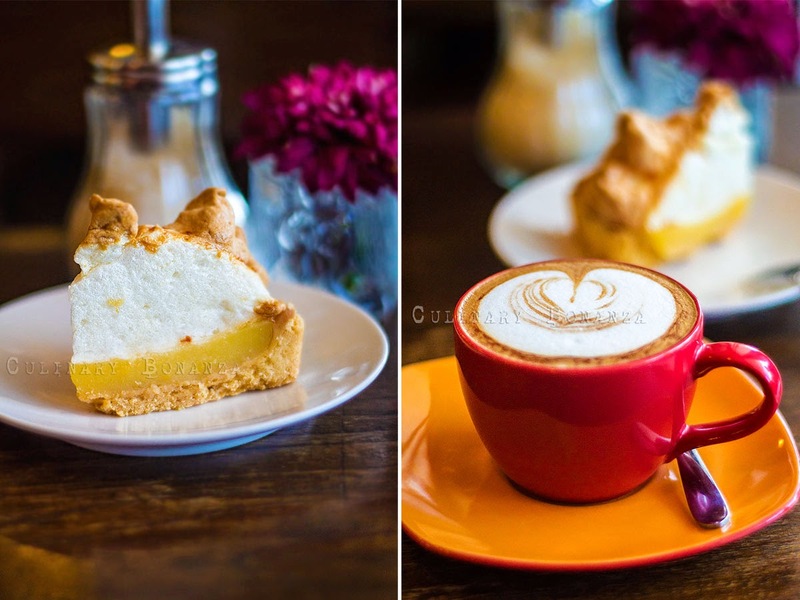 When I arrived, there seemed to be nobody from the organizer or the host yet, so I crossed the street to have breakfast at Antipodean Cafe inside the Hero Kemang complex. The last time I came here (Sunday noon), the small cafe was entirely packed, luckily it was quite vacant on weekdays morning. I didn't waste time and scanned the menu hand-written with chalk on the black wall. It was intended to be a simple yet healthy breakfast, but I couldn't resist the cakes on display! 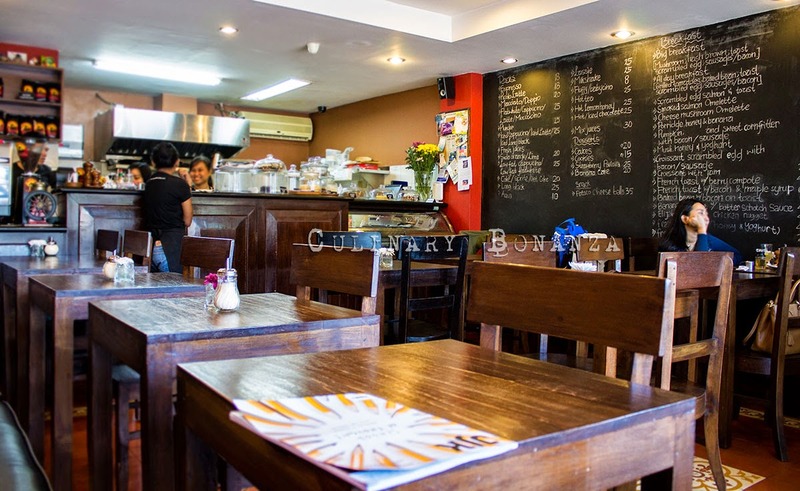 Antipodean Cafe seems to be frequented by the expats / foreigners staying in the area. From those food that I tried, I'd say they're quite decent for the price tag. 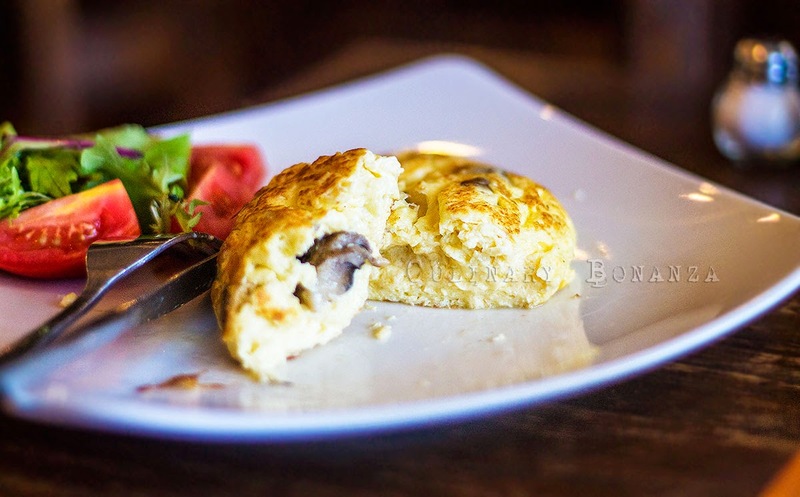 The menus served are mostly breakfast items (eggs, toast and such), and for Lunch menu, besides the Western dishes, I noticed some interesting Asian numbers such as Chickpea Feta Coriander, Burmese Shredded Chicken and Vietnamese Fried Beef Noodle. I would probably return another time to try the lunch. I returned to Madera Kitchen only to find no one I recognized, nor had the aura of an event host. So I sat at one of the tables, then eventually the other participants arrived, I remembered chatting to Maya of Detikfood.com and Tania of Screwpine.com (who also happens to run her family business Nuna's Koekjes) over some small bites served by Madera Kitchen, before the start of the event. 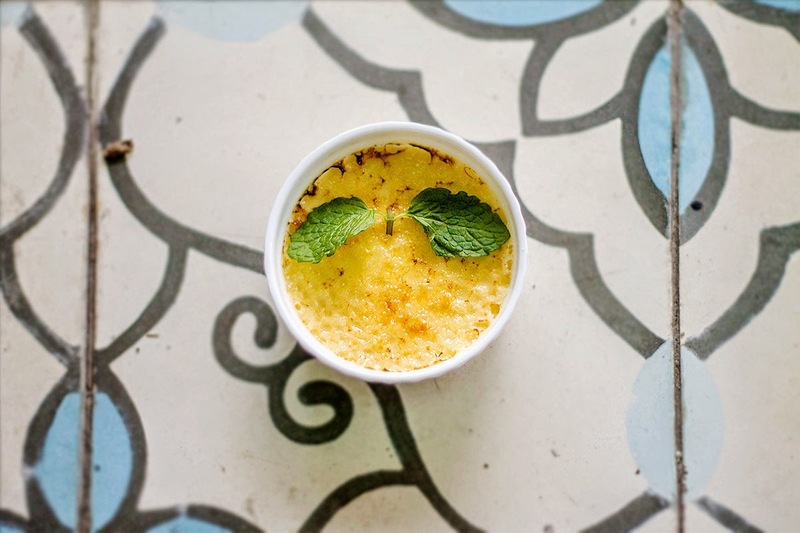 The Creme Brulee was not too sweet, but it was quite runny, would've been a well done dessert otherwise. The participants were asked to team up and I paired with Maya, and while hoping waiting for more people to come, the cooking utensils and ingredients were prepped up. I was quite worried because my schedule on that day was quite tight, and I had to leave the class latest by 11.30, as I had a lunch appointment somewhere afterwards. There were 3 recipes that were given to us, all of which use DOLE's products. I found it quite interesting, because the first 2 were savoury recipes, whereas DOLE's products are almost entirely sweet. Chef Bara then took over the class by demo-ing the steps in the recipe, after which we did as he had shown. Firstly, we made the custard for the filling, which will be used for the dessert afterwards: DOLE Tropical Fruit Cocktail Pie. 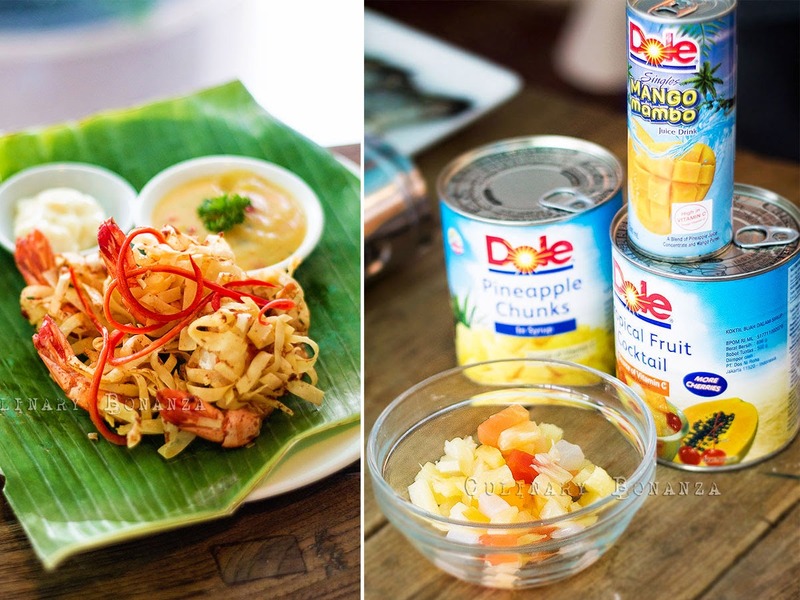 The first dish we cooked was called 'Hairy Prawns infused with DOLE Mango Mambo'. 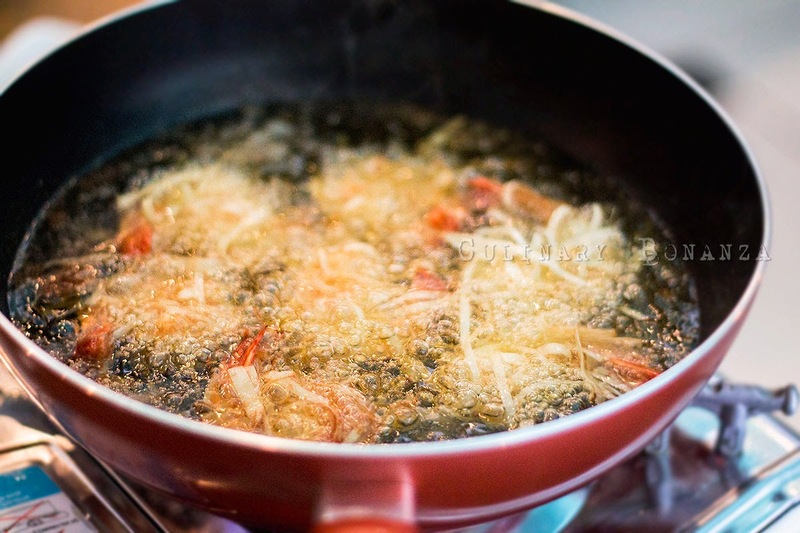 Basically the prawns were garnished in dumpling skin juliennes and then deep fried. For the batter, we mixed the flour with DOLE Mango Mambo, so the prawns would have some mango-ey twist. Unfortunately, I had to leave when we were about to start preparing for the 2nd recipe: Chicken Tempura with DOLE Sweet & Sour Sauce. I was actually quite curious about how our dishes tasted, as those were actually going to be our lunch. Nonetheless, thank you DOLE Indonesia and Chef Bara for the cooking experience. I look forward to more interesting events in the future.